Cecil was born in Hadleigh in 1895. 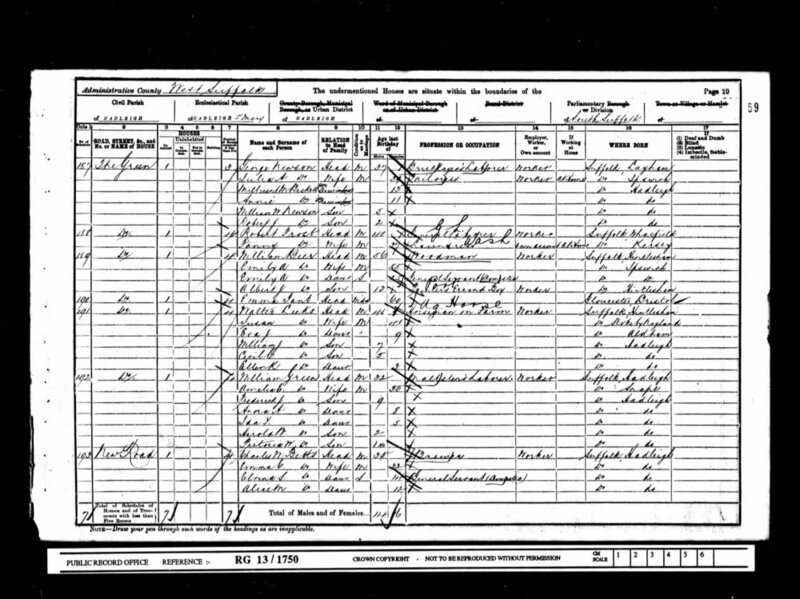 By 1901 he was 5 years old and living at home in New Cut with his parents, Walter (41) and Susan (41) and his siblings; Eva (9), William (7) and Ellen (3). By 1911 he was 15, still living in New Cut and working as a grocer's assistant. The whereabouts of Cecil's medals is currently unknown, however his medal index card states that he was entitled to the above three medals. Cecil enlisted with the local territorial battalion, the 5th Suffolks on 7 September 1914 and was allocated the regimental number 2398. We know that the 5th Suffolk's had been mobilised on the night of the 4th/5th August 1914 and were carrying out home service duties on the East Coast. The landing beach at Suvla Bay. They arrived and went ashore at Suvla Bay on 10th August 1915 and were quickly moved forward and by midday on the 12th were manning the forward trenches on the Anafarta Plain. At 4pm they were ordered forward as part of a 163 Brigade operation to clear the Plain of snipers in preparation for a much larger Divisional operation that was planned for the following day. The battalion was on the left of the brigade line and 'A' Company made up of Hadleigh men were in the first wave. There was at least 75 Hadleigh men involved and this was a true baptism of fire. They were told it would be a straight forward advance to mop up the odd sniper, but in reality they faced a determined and ruthless enemy. The enemies intimate knowledge of the ground was key. They sniped the Suffolks who could not see the firing points and even if they could, they had no artillery support to combat the snipers. In addition, the Turks made best use of their own artillery which ultimately halted the brigades advance. The Suffolks fell back to a shallow river bed / ditch where they formed the new front line. At that time territorial units were liable for home service only and were not required to deploy overseas. However, when it became apparent that more troops would be needed for overseas service, the men of the battalion were asked to volunteer. After giving this some serious thought, 72% of the men volunteered and the battalion was redesigned 1st/5th Suffolk Regiment. Those who opted to stay on home service duties only, became the 2nd/5th Suffolks. 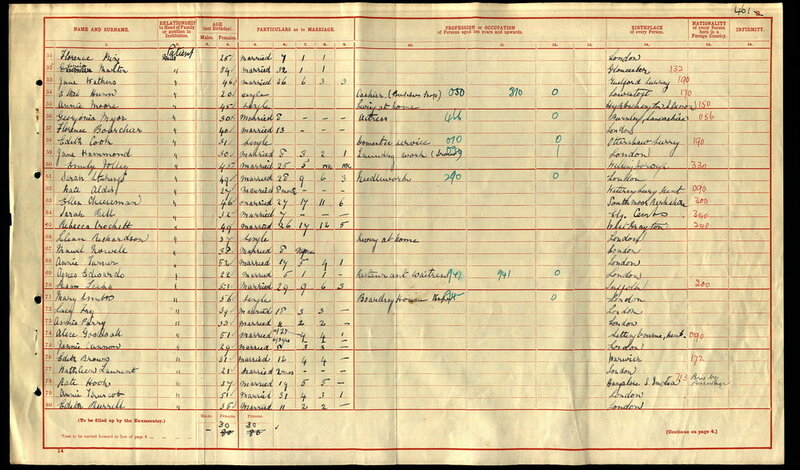 The 1st/5th Suffolks completed their training and preparation and were re-equipped for service in the eastern theatre. They embarked along with the rest of 163 Brigade and the 54 Eastern Division on 29 July 1915 from Liverpool on board SS. Aquitania bound for Gallipoli. A few days later they were relieved and returned to the reserve trenches where they discovered that the attack had cost them dearly; 11 Officers and 178 Other Ranks were killed, wounded or missing. 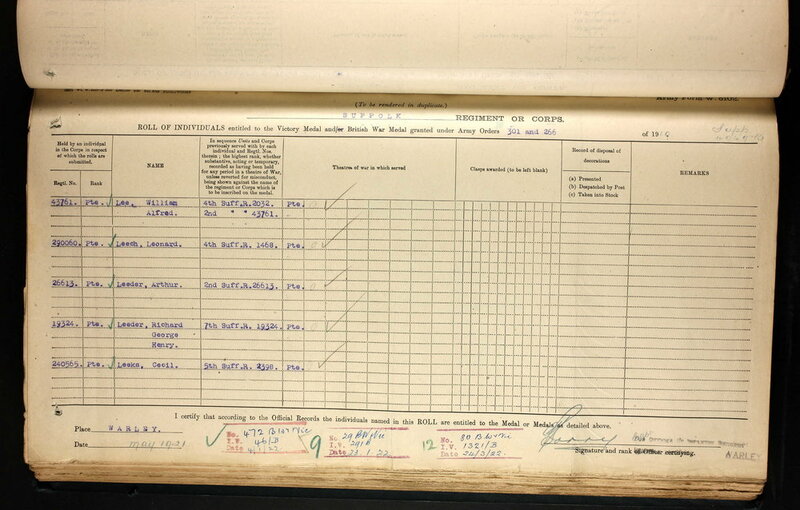 Although official records suggest that many of the Suffolks went missing on or after the 21 August, we now believe that they were actually lost during the advance on the 12th. On 12 August 1915, 16 men from Hadleigh were killed and many more wounded. Cecil was one of the wounded. He received a gun shot wound to the right leg and would have been evacuated for medical treatment. It is thought that his wound was not that bad and he was able to recover in hospital in the Mediterranean theatre. Once recovered he continued to serve with the battalion who spent all of 1916 in Egypt where they were defending the Suez Canal zone. From early 1917 the British advanced across the Sinai Peninsula and into Palestine. The campaign saw significant battles fought at Romani, Gaza, Beersheba and the Mughar Ridge before the capture of Jerusalem. It is thought that Cecil Leeks saw action in this campaign and it was only towards the end of the campaign that he was taken ill and evacuated back to Britain. He was suffering from tuberculosis and was sent to the sanatorium in Bury St Edmunds, with no hope of recovery he was sent home where he passed away peacefully on 15 June 1919. In 2002 a new housing estate was built in Hadleigh. A number of the houses on the estate were allocated as military quarters for service personnel serving in the area. During the planning phase for this development it was decided that since the estate would have a military connection, that the street names would be named after local military heroes. Given that there are three Leeks listed on the Hadleigh memorial, two of whom are brothers, it was decided to create a Leeks Close on the new estate. We hope that this page has been able to tell the story of Cecil Claude Leeks. If you know of any information which might help to add to the story then please get in touch.